Captain Dieter Scheel has been fishing local waters for over 45 years, spending much of his fishing time on the Delaware River. Dieter started guiding clients for Smallmouth Bass in 2001, with referrals and return customers making up most of his business. When not on the water with customers, Dieter can often be found on the river with his favorite fishing partner, daughter Hanne. 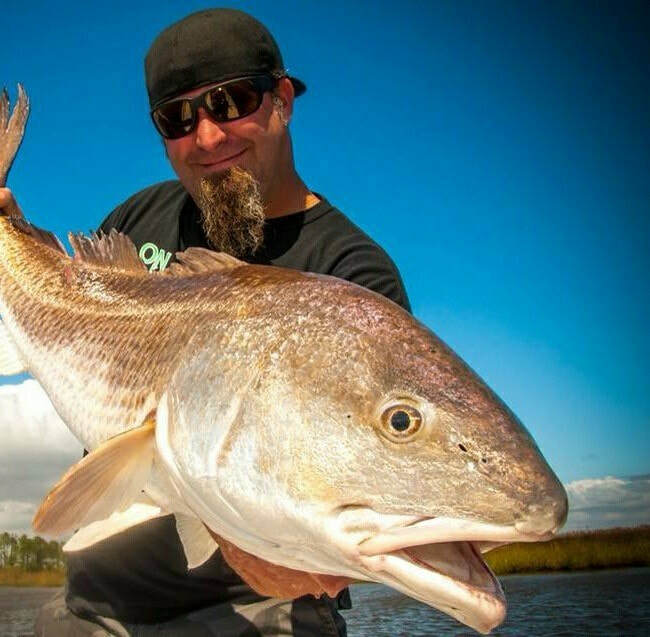 Chris was raised in the suburbs of Philadelphia and his passion for fishing grew into full time guide service in both fresh and saltwater. Two thousand ‘for hire’ days during his guiding/charter fishing run caught the eye of the fishing industry landing his first industry job with Navionics. 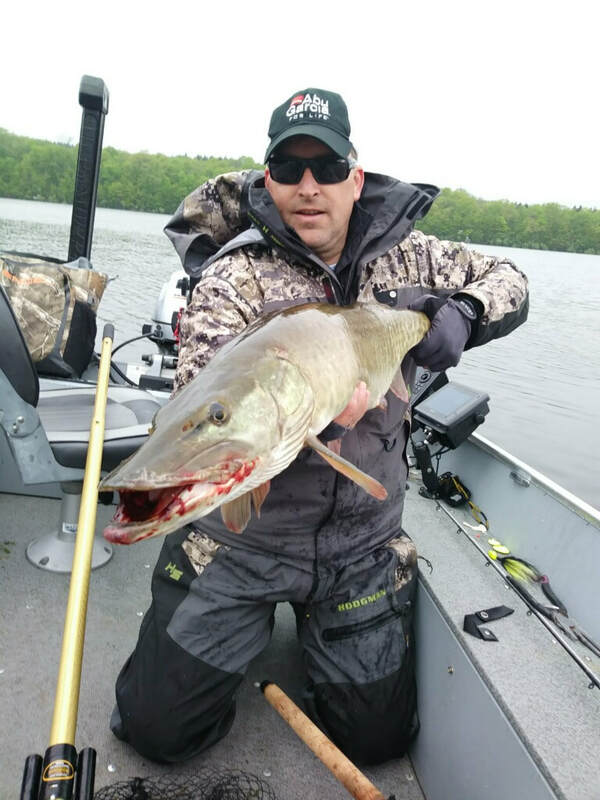 Chris now manages several states for Berkley Fishing and resides on their Product Design Team that has helped bring popular baits to the U.S. including Salmon Red Gulp and the new Berkley Bucktails. A USCG-licensed captain, Brett has fished the Barnegat Bay and surrounding ocean waters for the past 20 years and averages nearly 150 days a year on the water from April through December. 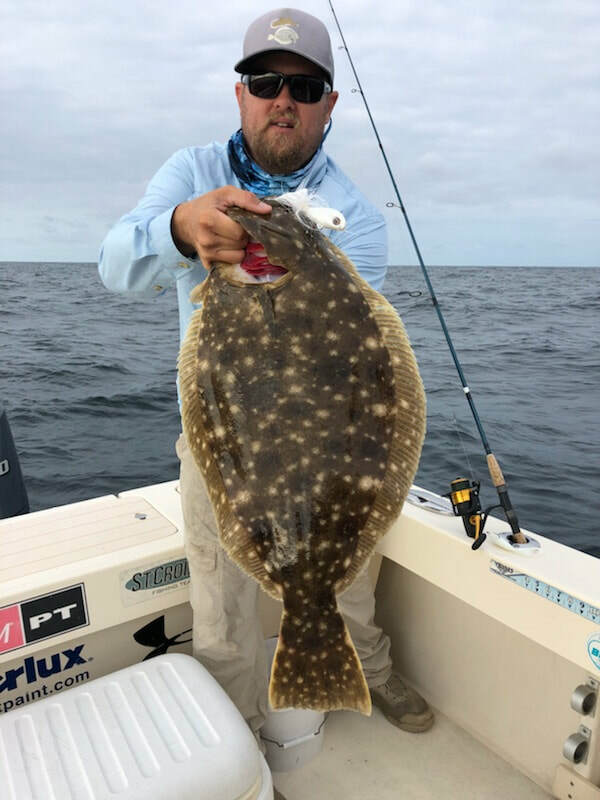 From back-bay fluking to trolling up bluefin tuna 50 miles offshore, Brett is experienced in a variety of fisheries and is now utilizing the Minn Kota and Humminbird system to up his charters’ score. 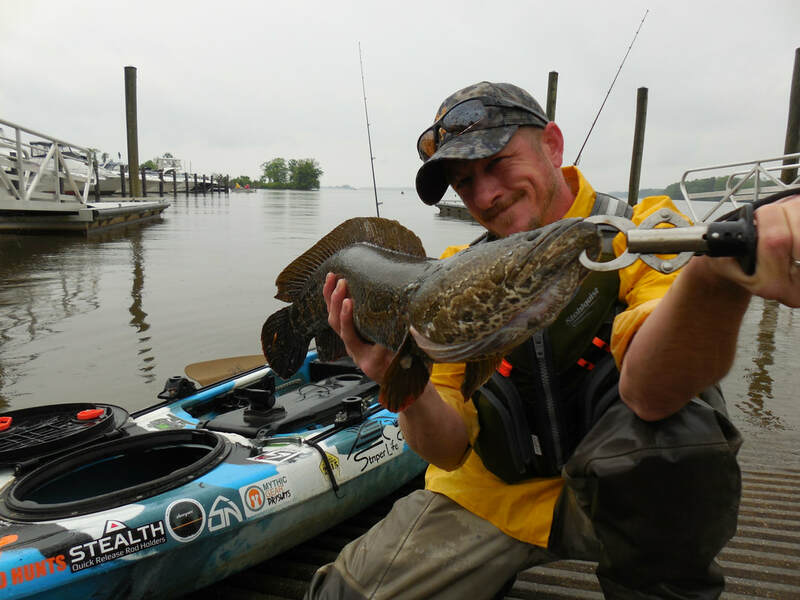 ​Licensed Maryland kayak guide Don Goff is with the Susquehanna River Fishing Club, a dedicated team of fishermen who devoted to the sport of fishing and determined to sharing their love and knowledge of fishing with as many fellow anglers as possible. The site www.susquehannafishingclub.com launched 9 years ago and today the SRFC social media platforms boasts over 50,000 followers. In addition to 60 years of fishing and tackle building, Gary Schroeder is a mechanical engineer who specializes in fluidics and motion control. Holder of 16 patents, Schroeder runs a boat out of Hampton Harbor in New Hampshire where he employs “green sticks” to improves his bluefin tuna catch by as much as five times that of conventional tuna tactics. It started for Capt. Pete Sykes back when he was old enough to walk to the marina and fish off the docks. Following a lifetime working aboard the party boats of Shark River Inlet, Pete’s love of the water and fish led to him back to the Belmar docks where he now runs a 35' Donelle throughout the year for roomy six-pack charter trips for fluke, sea bass, stripers, sharks and nearshore tuna. 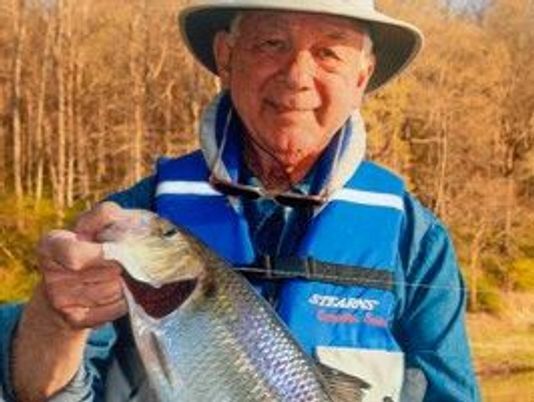 ​The "Shadman" John Punola has been presenting his shad fishing program for more than 30 years, but has not appeared at any major outdoor shows in the greater Philadelphia area until now. A noted author and experienced and knowledgeable Delaware River fisherman, John explains how the shad population has steadily risen the past seven years. ​Mike and sons Nick and Buck run a 65’ party boat called the Bonanza II out of Fortescue, NJ on the Delaware Bay. With 30 years of experience fishing the big bay, Capt. Mike fishes hard for weakfish, striped bass, summer flounder, and whatever else that can found swimming out of Fortescue. One of his favorites is big, burly black drum which keeps the boat busy in May and June. A tournament competitor on the Kayak bass fishing trail, angler Chris Santoro has competed in over 20 national events and has multiple top 10 finishes under his belt. He’s traveled to some of the most renowned lakes to chase bass and his GoPro is never out of his reach, helping help him capture his adventures to help provide seminar attendees a first-hand look at the subject of big water kayaking. At 41, Tony “Maja” Jr. has been fishing for as long as he could walk, growing up fishing with striped bass trolling innovator Tony Maja, Sr. Jr. started trolling for big bass at the age of 8 and has worked closely with his father to help perfect the technique and products that have led to more than 60 “trophy bass” of 50 or more pounds by Tony Maja customers during the past 8 years. Now running charters out of Beach Haven, NJ, Capt. Darren Dorris has been fishing, mating and working New Jersey waters for over 30 years, from Raritan Bay all the way to Cape May. He is a prolific outdoor writer and photographer whose work has been published in Saltwater Sportsman, Field and Stream, The Fisherman and many others, in addition to a popular seminar and TV host. Hard-working Frank Mihalic has been a contributing writer to The Fisherman and other publications for over 20 years, specializing in adapting tackle and gear to effectively fish each area under any conditions. He is a blackfish specialist, and his interactive approach to seminars promises attendees a personal look at the tools and tricks that the sharpies use to catch giant tautog. 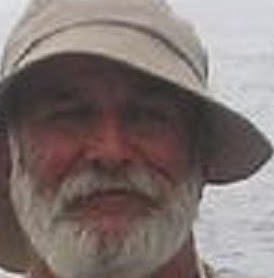 Captain Erwin Heinrich is a United States Coast Guard licensed Captain, and has been fishing the waters of the New York Bight area and Atlantic canyons for over 40 years. Captain Erwin is very particular when it comes to his equipment and makes sure his tackle is always in top shape for his Scales n’ Tails charters, a 31-foot Contender out of Highlands, NJ. A longtime freshwater fishing guide, JB Kasper is also a prolific writer and the author of the definitive book on Delaware fishing (The Delaware River and its Fisheries). Former Trenton Times reporter, JKasper’s freshwater and North Jersey fishing columns still appear in The Fisherman 38 times a year, as do his frequent “how to” and “where to” feature articles. ​Mike is a teacher, outdoor writer, photo/videographer, participant and observer of the sport he has lived and loved for over 50 years. He has brought many innovations to saltwater flyrodding and presented them to thousands of attendees at Sportsmen Events from Coast to Coast through his many seminars. American Fly Fishing Schools Director, Battlewagon Boats, Tohatsu Outboards and Custom Gheenoe Fly Fishing Ambassador are among his titles plus a long list of product sponsors that he works with product promotion and sales with. Stop by his “SIMUL-CAST” display at the A.F.F.S. Casting Pond, say hello and swap some fishing stories with him. ​Opened Megastrike Inc. in 2001. After 9 years of research and development, Bobby launched Megastrike Fish Attractant, the first amino acid-based fish attractant on the market. Years later, it continues to be in extremely high demand all over the world by both professional and amateur fishermen. In 2006, Megastrike developed the Evolution Jig. Innovative by design, it won Best New Lure at ICAST 2006. 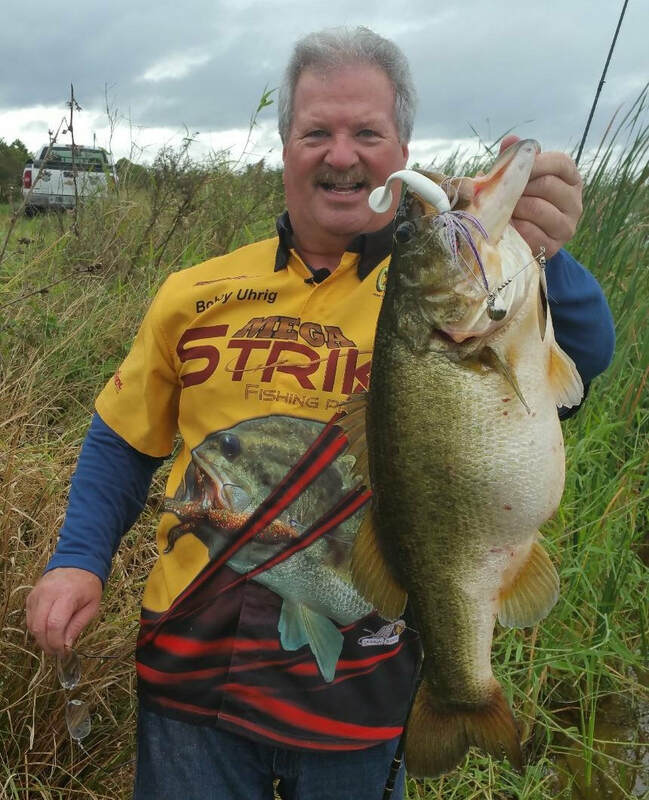 Since then, Bobby and Megastrike have developed many new and innovative products by filming and studying bass and other fish in their natural environment. Megastrike fishing products are the leaders in fishing tackle innovation. Grae is fishing his 3rd year on the FLW Tour after qualifying through the Northern FLW Costa's in 2016 with three top 20 finishes. Grae is from Harleysville, Pennsylvania and graduated from Penn State University in 2012 where he fished at the collegiate level. 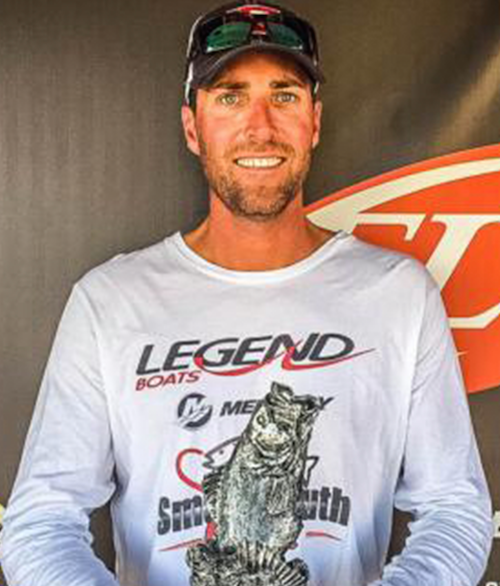 After graduating he has gone on to have great regional success winning three BFL events, the Pennsylvania BASS Nation state championship in 2014 and working with Mid-Atlantic Youth Anglers introducing kids to the path of fishing in college. Come listen to his keys for success fishing regionally and applying it throughout the country. ​You can follow his 2019 season on Facebook and Instagram @graebuckfishing. For website creation inquiries contact, Matt - here.